The role of TL1A in the intestinal mucosa barrier in inflammatory bowel disease (IBD) is still unclear. This study was aimed to investigate the expression levels of tight junction protein (TJ), myosin light chain kinase (MLCK), MyD88 and tumor necrosis factor (TNF) receptor-associated factor-6 (TRAF6) and how TL1A influences the intestinal barrier in IBD. The mouse models of IBD were built using FMS-TL1A-GFP-transgenic mice and wild-type mice. The morphological and histopathological changes, bacterial translocation, permeability of colonic mucosa, and LPS level were assessed. Caco-2 cells were used to further investigate the association between TL1A and TNF-α and LPS. The protein level and mRNA changes of TJ proteins including ZO-1, occluding, JAMA, claudin-1, claudin-2, and claudin-3 were investigated using Western blot and real-time PCR. Protein changes of MLCK, MyD88 and TNF receptor-associated factor-6 (TRAF6), and TNF-α mRNA in the mouse colon were further assessed. The IBD models were successfully built. 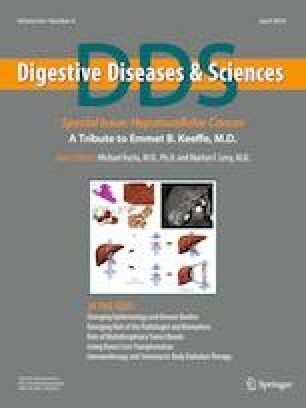 Cooper HS score and histopathological score of the colon were higher in DSS/WT group than in control/WT group (P < 0.05), higher in DSS/Tg group than in control/Tg group (P < 0.05), and higher in DSS/Tg group than in DSS/WT group. PAS, colonic permeability of the colon, and FITC-D examination showed the similar results and trends. Compared with control/WT group, the levels of TL1A and claudin-2 were higher and the levels of ZO-1, occludin, JAMA, claudin-1, and claudin-3 were lower in DSS/WT group (P < 0.05). Compared with control/Tg group, the levels of TL1A and claudin-2 were higher and the levels of ZO-1, occludin, JAMA, claudin-1, and claudin-3 were lower in DSS/Tg group. Compared with Caco-2 + TNF-α group, the expression level of occludin and claudin-1 in Caco-2 + LV-TNFSF15 + TNF-α group was significantly lower (P < 0.05); p-MLC level was significantly higher. Compared with Caco-2 + LPS group, the expression level of occludin and claudin-1 significantly decreased in Caco-2 + LV-TNFSF15 + LPS group; MyD88 and TRAF6 expression level significantly increased. The results suggested that TL1A could impair intestinal epithelial barrier in the mouse model of IBD and might regulate TJ expression via MLCK/p-MLC pathway and LPS-mediated MyD88/TRAF6 pathway.